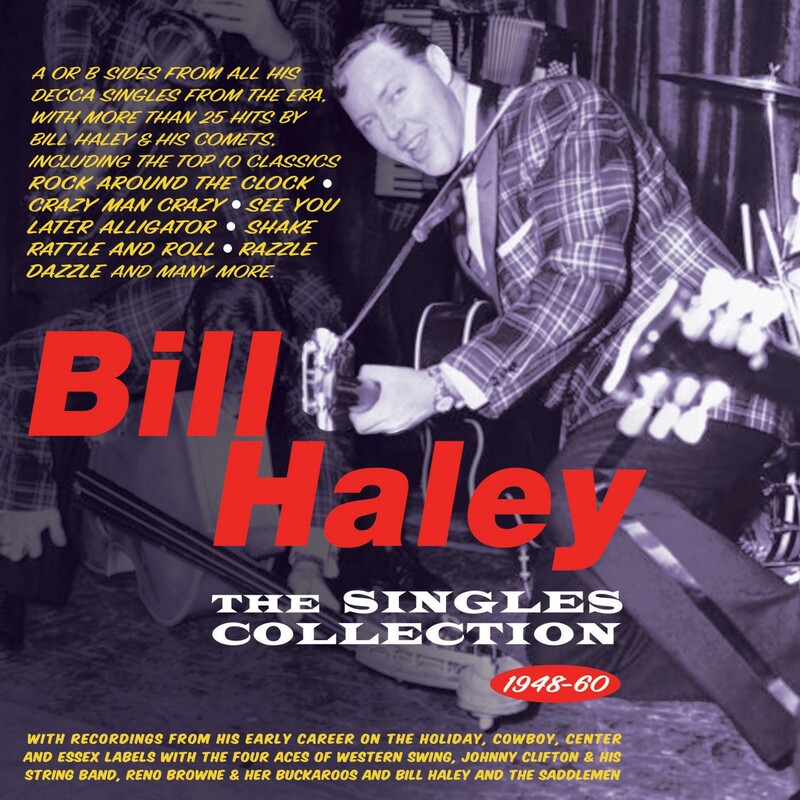 Bill Haley's place in rock 'n' roll history hardly needs underlining, but suffice to say that his landmark No. 1 hit with "Rock Around The Clock" in 1955 was one of the most significant records in pop history, identified as the record which properly ignited the rock 'n' roll explosion, although he had already had a significant hit with "Crazy Man Crazy". Even before then, he had paid his dues as a country artist with his groups The Four Aces Of Western Swing and The Saddlemen, and having made his worldwide breakthrough with his band The Comets, he went on to have a string of memorable rock 'n' roll hits on both sides of the Atlantic through the 1950s. This great-value 57-track collection features all those hits, including the Top 10 classics "See You Later Alligator", "Shake Rattle And Roll", "Razzle Dazzle", "Rip It Up", "Don't Knock The Rock" and others. Alongside those hits are selected A & B sides from his singles from his early career on the Holiday, Cowboy, Center and Essex labels with The Four Aces Of Western Swing, Johnny Clifton & His String Band, Reno Browne & Her Buckaroos and Bill Haley and the Saddlemen, and from his Decca and Warner Bros. singles with The Comets through to the dawn of the new decade. It's an entertaining and substantial showcase for a hugely significant artist during the time he made such a dramatic impact on the world of pop.